Luxury Real Estate Marketing: Do You Know Your Core Value Proposition? If you are a luxury real estate marketing professional who is intent on gaining or sustaining market leadership ask yourself this important question: “What can I do better than anyone else in my marketplace?” Tap into your core value proposition and you will discover how to out-smart your competition. Facebook’s stock recently jumped 30% because they are getting their mobile advertising act together. Ad revenue jumped 75% over the previous quarter. Google has seized market dominance with their Android operating system with over 70% market share. This enables the company to put more ads on more screens, which is their core value proposition. Smart phones enable advertisers to find you based on your present location. Geo-positioning makes smart phones the perfect vehicle to deliver local ads (and special offers for goods and services available locally). We think Jeff Bezos, CEO of Amazon, is concerned about that! And, that is why he is willing to personally spend $250 million on the Washington Post. Mr. Bezos must have asked himself the key question about the strengths of Amazon in relationship to Facebook and Google when it comes to local commerce via mobile devices because both of those companies have the potential to siphon off Amazon’s core business—ecommerce. Billions of dollars are at stake here! Traditionally, the bread-and-butter revenue of newspapers has been classified ads. Intermediaries, like Craig’s List, demonstrated that they could get consumers to go directly to their brand of classified ads FIRST. With a singular focus, Craig’s List became synonymous with classified ads and was catapulted to top-of-mind status in that advertising category. NAR conducted a study years ago that demonstrated that homebuyers are more likely to work the first agent they contact when they were ready to buy a home. That is why Trulia and Zillow want to be the FIRST place home buyers go to search properties rather than on YOUR website. Agents pay these companies to get these leads before you do. What if Mr. Bezos could convince local merchants to set up stores on Amazon’s affordable Webstore platform (Amazon’s no long-term obligation, robust, eCommerce technology and fulfillment services) and monetize the journalistic content of the Washington Post with transaction-based advertising? A profit sharing model between Amazon and the Post would drive revenues for the newspaper. Already built into Webstore’s platform are available features for consumers to opt-in to special offer alerts, coupons, etc. Amazon’s peer rating system allows consumers to know which local merchants to trust and ranks merchants based on best current prices on a particular item. Consumers who already have Amazon accounts could go shopping locally with one click or create a new Amazon account. What if the newspaper's act of championing the "Shop Local" cause attracted all of the top local merchants? What if the Washington Post e-commerce/mobile commerce/local commerce model proved to be a fiscal winner in the long run? Wouldn’t other local newspapers around the world beat a path to Amazon’s door? Contemplating your core value proposition and focusing on what you do best as a luxury real estate marketing professional can give you the competitive advantage. Your market leadership is at stake, here! 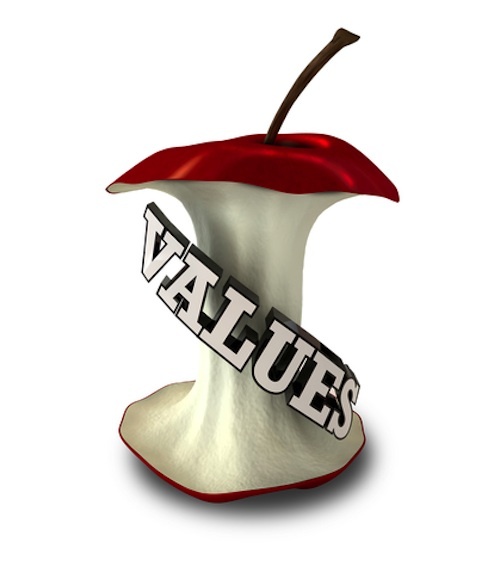 Do you know your core value proposition?